On this day in 1885, a school for the secondary education of boys was started by private enterprise in St George. The privately funded St George’s Grammar School was located at Mrs Grey’s premises on Hospital Street (present location of First Caribbean International Bank). It soon gained the reputation for educating sons of wealthy landowners, professionals, merchants and civil servants. In 1911 it was renamed Grenada Boys School and moved to Melville Street (present location of the police barracks). In 1915 it was renamed Grenada Boys Grammar School, and in 1946, it relocated to Tanteen, the site of wooden military barracks which previously housed the Southern Caribbean Airforce. Tanteen is its current location. Preparation of the site to accommodate the school was a big civil engineering project, involving levelling of the top of the hill and using the excavated material to reclaim the shallow bay to be used as a playing field. The institution has educated many leading citizens, including Governors-General Sir Leo Victor de Gale and Sir Paul Scoon; Eastern Caribbean Central Bank Governors Sir K Dwight Venner and Timothy Antoine; Prime Ministers Herbert Blaize and Sir Nicholas Brathwaite; sportsmen Junior Murray and Kirani James; Bishop Vincent Darius. 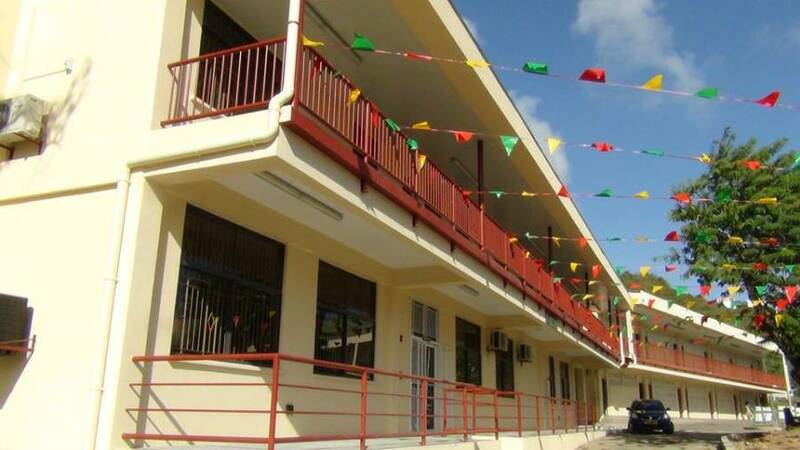 Known today as GBSS, the Grenada Boys Secondary School remains one of the foremost secondary schools in Grenada. Today is GBSS Day. Compiled from the Grenada Handbook editions 1897, 1901-1902, 1912 and referencing A to Z of Grenada by John Angus Martin and Grenada A History of Its People by Beverley A Steele.